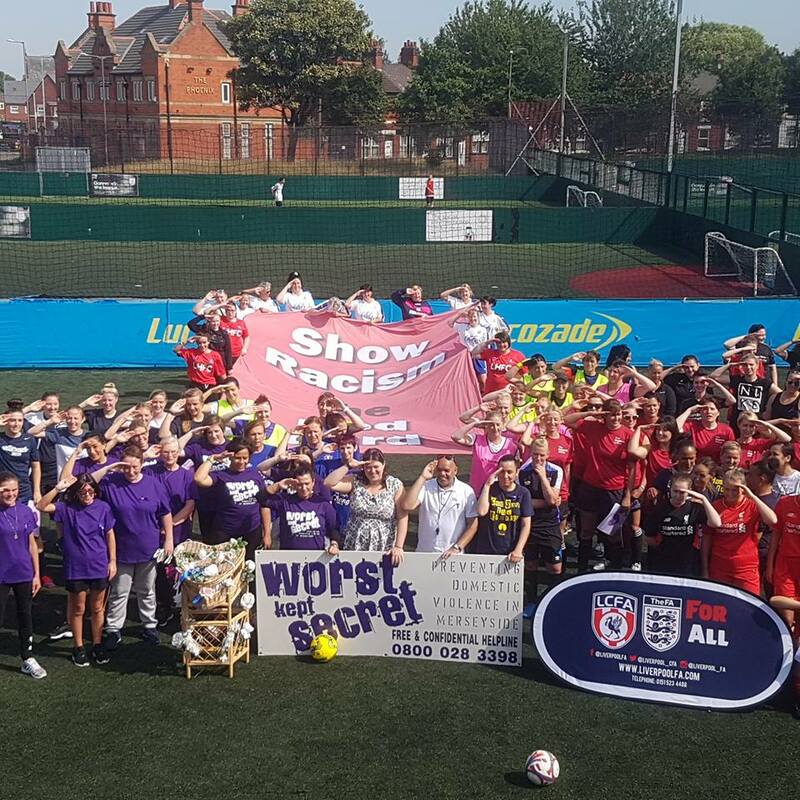 In its 4th Year now Liverpool Homeless football club’s Women Against Domestic Abuse tournament will kick off again in Liverpool this month. The football tournament will be taking place at The Power League Whittle Street on Tuesday, 19th June 2018. 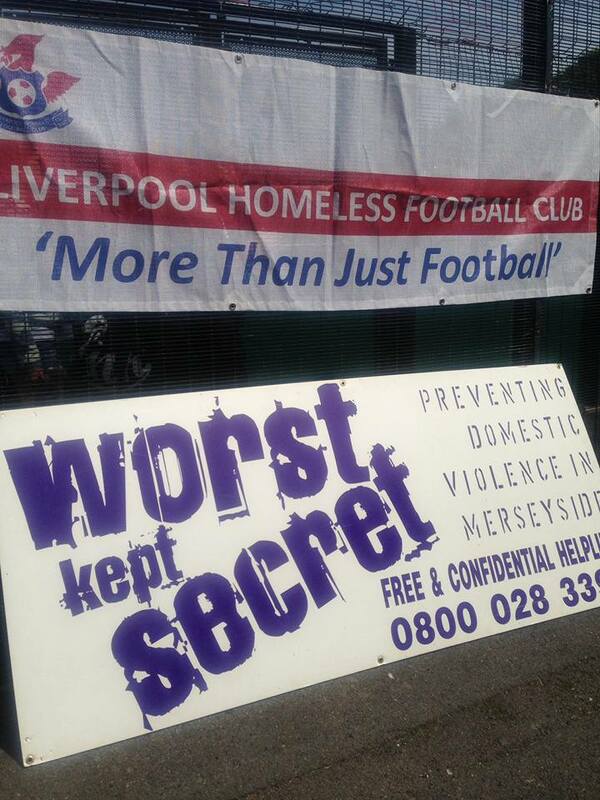 The day is jointly organised by Liverpool Homeless Football Club and the Liverpool County FA. Most importantly there will be support agencies also available on the day. The day will have up to 20 teams from various backgrounds and all levels of ability. If you would like to join us and don’t want to play, come along anyway as a spectator. It will be a fun, friendly day with access to support services. However, the message is strong, the message is clear, today is about women coming together saying no to domestic abuse. Email Anna.Farrell@liverpoolfa.com or call her on 0151 523 4488.